Thank you all so much for playing along with the team for Challenge #53, we loved to see how you were inspired by Michele's tag! Thank you so much Michele for joining us as our Featured Artist. 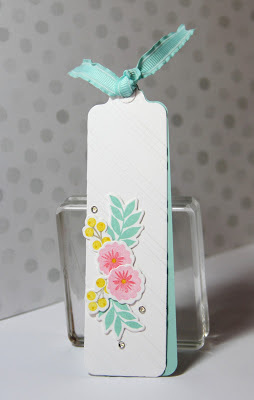 See Michele's favourite pick at the bottom of the post! Michele selected #6 Wanda's card as her favourite for the challenge! 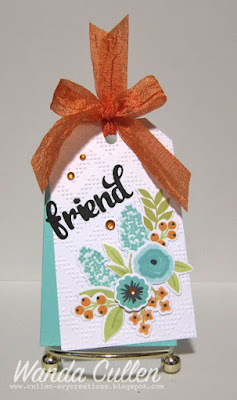 Wanda used one of my very first embossing folders I ever purchased for her tag, another favorite from Wplus9, and really lovely ribbon to coordinate with her flowers! LOve every single bit of your darling tag – thanks for ‘playing tag’ with me, Wanda! p.s. I LOve the name of your blog! Thanks to everyone for playing along ... thanks, Tracey, for the invitation to play with your wonderful team!!! So sorry I didn't come earlier, been super busy with my grandchildren. Thank you so much for picking my tag as a challenge favorite, congratulations to the other winners, how fabulous to be in your company. These are lovely. Thanks so much for sharing and giving us such inspiration. The sunshine card is my favorite. So many cards and tags! Very inspiring! 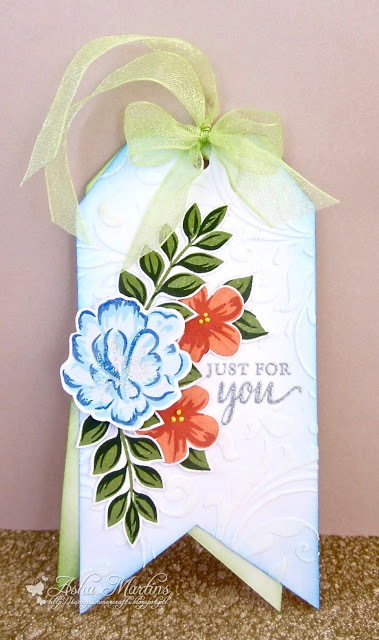 You've used some of my personal favorite with the Peony Bouquet and the Dahlia1 Thank you so much!